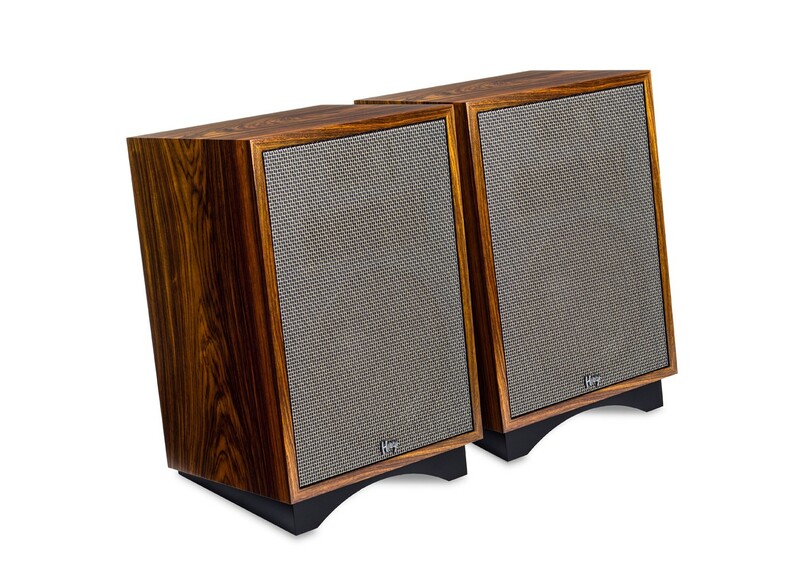 Klipsch is happy to announce a special edition production run of the Heresy in East Indian Rosewood. This exotic hardwood is genuine Rosewood and is regarded as one of the world’s most beautiful hardwoods. The wood species is native to the southern Indian peninsula. the heartwood can vary from a golden brown to deep purplish brown, with dark brown streaks. The wood darkens with age, usually becoming a deep brown color. Rosewood is so named for the fragrance of roses the wood produces when first cut. A matte-black slant riser base compliments the East Indian Rosewood.